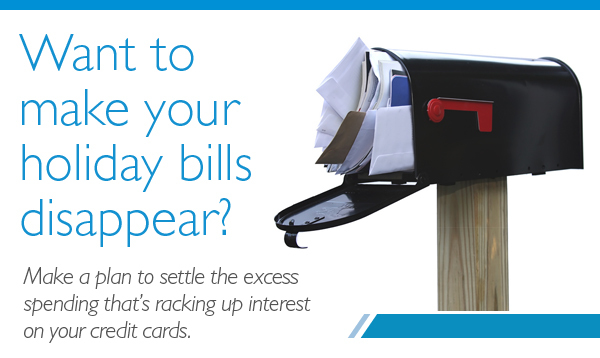 Many Canadians suffer with their highest debt load in the month of January. Save thousands of dollars in interest by creating a pay down plan! 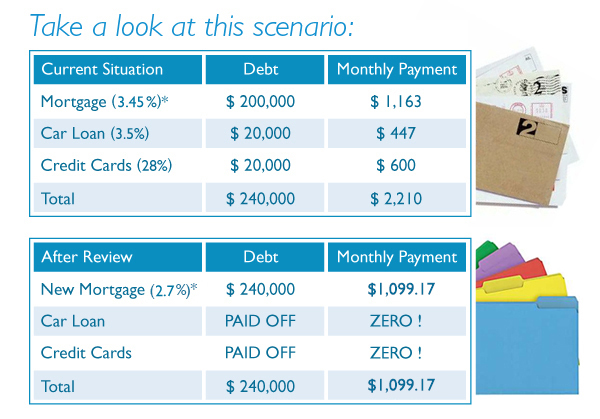 Consolidate and restructure your debt into your mortgage so you are paying less interest and paying off debt sooner. Start the New Year on the right foot by saving money and taking advantage of historically low mortgage interest rates. Look at what you’re paying on your credit cards and other debts. If you roll those high interest debts into a new or existing mortgage, your potential saving can be significant! You can use these savings to ease your monthly cash flow, or apply it to pay your debts down faster! For example, put $500.00 per month of your new cash flow into your mortgage payment and reduce your amortization from 25 to 15 years!